As a user, you will be able to access material on most areas of the Site without going through the registration process. Certain areas of the Site may only be open to you if you register. The Owners reserve the right to add to or change these terms and conditions at any time by posting changes on-line and it is your responsibility to refer to and comply with these terms on accessing the site. Your continued use of this site after changes are posted constitutes your acceptance of these terms and conditions as modified. All rights, including copyright and database right (in the Site and its contents including but not limited to text, photographs, graphics and newsletters sent by email and software) (the "Content") are owned by or licensed to the Site Owners or are otherwise used by the Owners as permitted by applicable law. In accessing the Site web pages, you agree that you will access the contents solely for your own personal, non-commercial use as detailed in section 3 below. � Requests to republish or redistribute Content via a commercial license arrangement should be addressed to info@jdsfoods.in . Links to the Site must be directed to the homepage. The Owners disclaim all liability for any legal or other consequences (including for infringement of third party rights) of links made to the Site. The Owners provide the material published on its web site on the basis that it disclaims all warranties in respect of such material, whether express or implied. Neither the Owners nor the original providers of the material accept any liability for any direct, indirect, incidental or consequential loss of business, revenues or profits or special damages arising from the publication of the material on the Owners Site. The Owners are not responsible for the content of any material you encounter after leaving our site via a link in it or otherwise and the Owners exclude to the fullest extent permitted by law all liability that may arise in respect of such material. The Owners endeavor to ensure that all information and material on the web site is correct and accurate but does not accept any liability for errors or omissions, neither do the Owners warrant that use of this site will be uninterrupted. This site may be used only for lawful purposes and in a manner that does not infringe the rights of, or restrict or inhibit the use and enjoyment of the site by, any third party. The Owners hold the right to edit, refuse to post or remove any material submitted to or posted on the site. The Owners are not responsible for, neither do the Owners accept any liability for, any material posted on the site otherwise than by the Owners. Any opinions, advice, statements, offers or other information expressed or made available by third parties on the Site are those of the third party concerned. The Owners neither endorse nor is responsible for the accuracy or reliability of any such third party material. The Content is only for your general information and use and is not intended to address your individually specific requirements. In particular, the Content does not constitute any form of specifically personal advice, recommendation that is intended to be relied upon by users in making (or refraining from making) any particular decisions. Appropriate independent advice should be obtained before making any such decision. Any arrangements made between you and any third party named on this Site are at your sole risk and responsibility. The Owners make no warranty that the site is year 2012 compliant or free from infection by viruses or anything else that has contaminating or destructive properties. 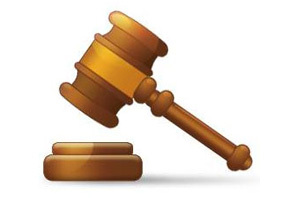 The Owners will not be liable for any damages (including without limitation, damages for loss of profits) arising in contract, tort or otherwise, from your use or inability to use the site or any content or from any action taken (or refrained from being taken) as a result of using the site or any content. Other sites to which links are provided are operated by independent third parties and the Owners are not responsible for their availability or content. By submitting messages to any Forum you agree to indemnify and hold harmless the Owners from all claims, costs and expenses (including legal expenses) arising out of any Messages posted or published by you that are in breach of these terms. By submitting Messages to any Forums you are granting the Owners a perpetual royalty free non-exclusive license to reproduce, make available, distribute and sub-license the Message in whole or in part and in print or electronic form.